I am fascinated by Mexico. What a beguiling country, seething with life & energy, vibrant colours, gorgeous foods and lots more. It is right on top of my 'want to visit badly' list. One day. Soon. Till then I try and capture the flavours of Mexico in my cold London flat. 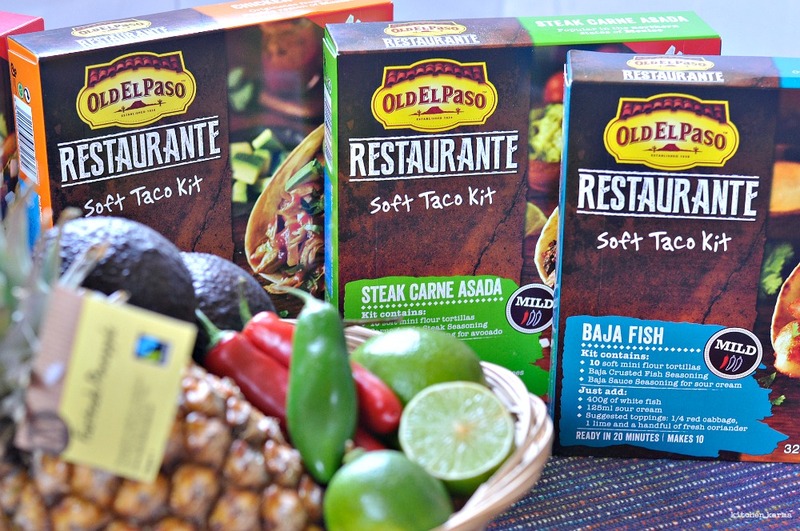 Recently I went to Old El Paso's Mexican evening where they launched a new range of flavours in their soft taco kits range. 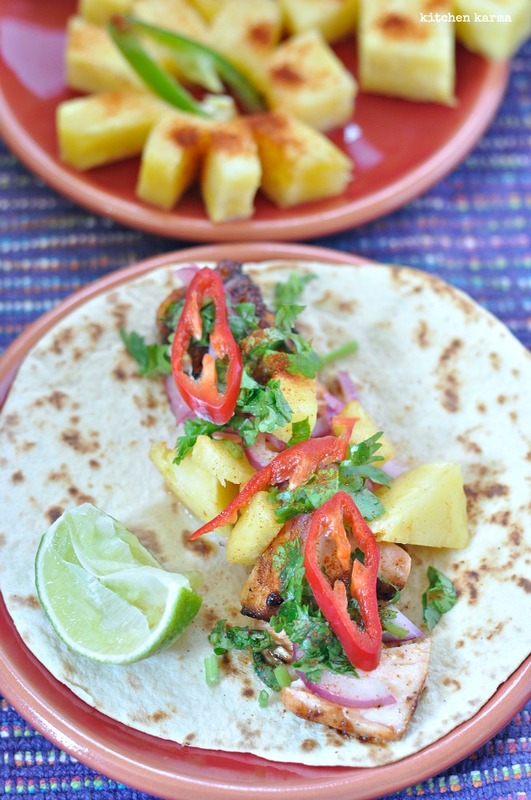 These are inspired by the regional Mexican recipes and the tag is 'cook like the locals'. Something right up my street. What a nice evening it was. We drank lots of margaritas, cooked along and learnt to assemble the tacos. I was in the team which was doing the fish tacos. I couldn't have been in a better team, fish being my absolute favourite. Needless to say we sneaked in a lot of bites even when the cooking was going on. Apart from the baja fish there was chicken tinga, pork al pastor, steak carne asada and a vegetarian one. So the soft taco kits come with a ready to use spice mix for the chicken/fish etc, one mix for the sour cream and some soft taco shells. I did the fish one again at home, yes that is how much I love fish. It's really easy to do and once you have all your preps done, takes minutes to assemble the tacos. 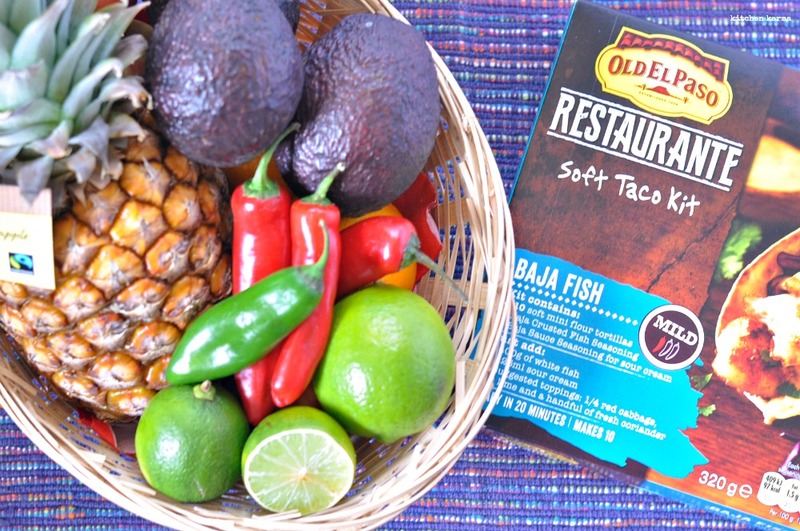 It's also brilliant for parties, just prep everything and let your guests prepare the tacos the way they like it. For the fish one, I had bought some basa fillets, I cut the fish into thin strips, rolled them lightly in the ready spice mix and shallow fried them. Then I dry roasted the soft taco shells and assembled the tacos, I skipped the sour cream (not a big fan), instead made a big bowl of guacamole and we tucked it with gusto. I am not sharing the recipe for the fish tacos, they are explained at the back of the kit boxes. 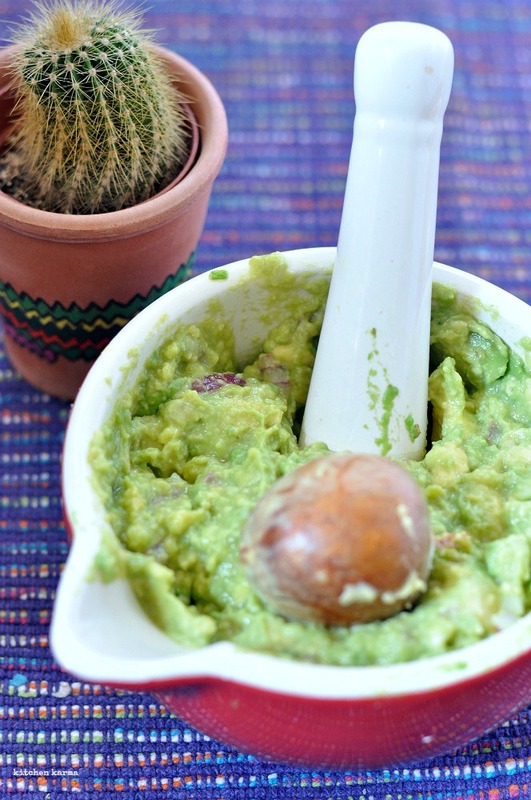 Rather let me share the recipe of my favourite dip~ guacamole. I follow this recipe which I saw in one of Thomasina Mier's television shows. She makes Mexican food look so fun. I have been following this recipe for ages, it's comes out great overtime. v. If needed add a little more salt. The guacamole should taste sharp, sour, savoury with a hint of chilli. The onion adds a good crunch. You can store this with the stone in the guacamole for a few hours in the fridge. The stone stops the dip from discolouring and if kept overnight it may become too watery. But a few hours is fine. So prep ahead and bring it out just when you guests arrive. This is fabulous with nachos, on tacos, with grilled fish & meat. 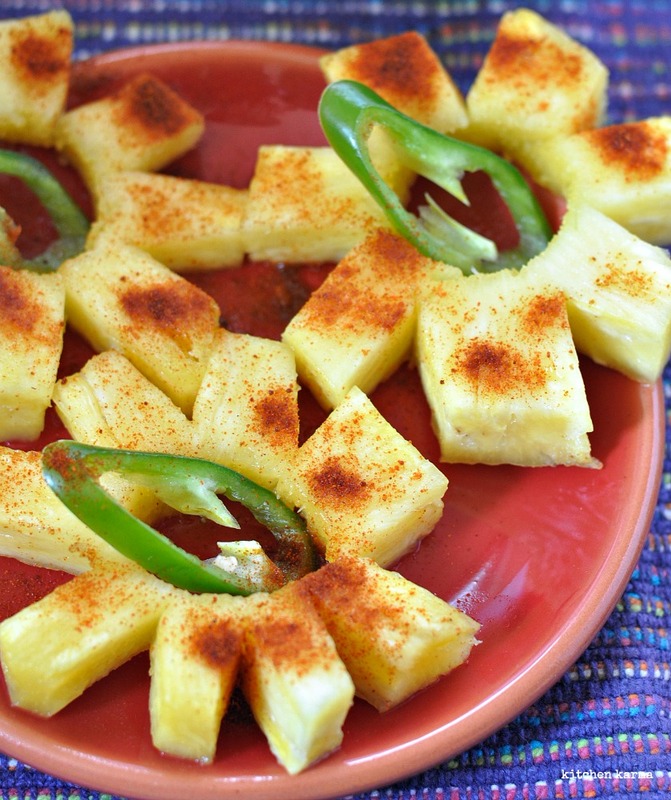 I also made these pineapple rings, to pretty up our meal. Enjoyed this recipe? Why not check out my other Mexican recipe, the famous Chilli Con Carne?